you were most caring and respectful"
Funeral costs are often an area of concern whether you are arranging a funeral at-need or pre-planning. For this reason, we have an open and honest approach regarding our professional fees, and are comprehensive in providing details of likely costs of third parties. It is our policy to provide a written estimate to clients before the day of the funeral, once we are aware of all the requirements. 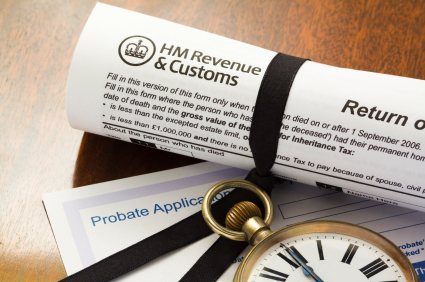 We can however, also provide an estimate, even if you have not yet instructed us to carry out a funeral for you. These estimates can be provided verbally over the telephone, or in writing by mail or email. We endeavour to be as accurate as possible with our estimates, and allow for all expenses that you have detailed. See below for our current cost guides. Budgets can vary widely depending on personal circumstances. Understanding this, we tailor our services to your needs. Read more here. Direct Cremation is the simplest form of service that we provide, at the lowest possible cost. Read more about this service here. 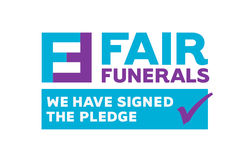 We have signed the 'Fair Funerals Pledge', aimed at ending funeral poverty. Read more about the pledge and our commitment here. Funerals are individual occasions, reflecting a person or family's personal preferences, so in that respect, costs can vary widely. Another consideration is budget - many prefer to have a simple funeral, often with cost in mind. In July 2018 we introduced a new pricing scheme, with two pricing structures: Tailored and Simplicity. Tailored is a full list of the services we offer. Together, we choose the elements required and requested to formulate an overall cost. Our current Tailored price list is available to download here. Simplicity consists of our low-cost funeral options. Here, we have created two packages of simple services with discounted professional fees in order to keep costs down. Our current Simplicity price list is available to download here. Please contact us for alternative quotes, for example a simple burial. We offer a 'direct cremation' service, that is, a very simple but dignified final journey. A direct cremation consists of us simply taking the deceased to a local crematorium, where a non-attendance committal takes place. More people now request that at the end of their life, their body should simply be cremated, with no service marking the occasion, either through personal choice or for financial reasons. Please contact us for details or download the guide, above. 1. We recognise funerals can be expensive and many people struggle with the cost. 2. We help people to find funerals that are within their means. 3. We will be open about our most affordable options: in initial conversations, within our price lists and on our website (including third party costs). Although we have always adhered to each of the above for some time, we feel it is important to show our support for the campaign, which has the aim of ending funeral poverty. We have three packages available through our Simplicity range, designed to provide a low-cost service with fully-inclusive prices from £1,977. Please see details and download the guide, above. If you wish to discuss any aspect of costs, please contact us and we will be happy to assist you.